Desai, 64, photographs most birds he sees and transfers them on to stoles, tops and pants. He promises that this is only the beginning and that he has thousands of photographs of birds that he wants to incorporate in the future. The exclusive collection has two lines of clothing: Avian Linen, made from silk and premium European linen, while Birdology is fashioned from superior cotton. At the show in Folly, Amethyst, over 600 garments with 40 exclusive designs featuring block printing and digital printing will be available. They will be showcasedA� against a backdrop of Desaia��s drawings and paintings. Meanwhile, the designer is already working on his next collection to be launched in September. 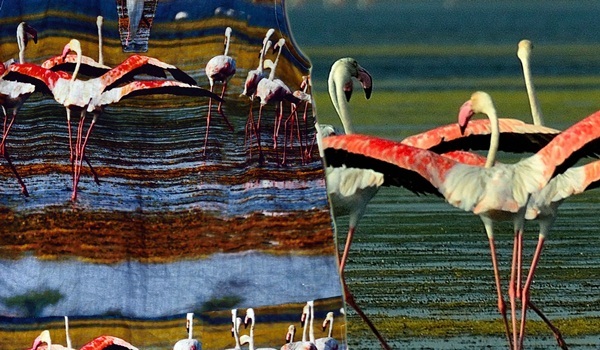 Interestingly,A� Suresh Rajagopalan, the man who launched Linen Trail at Chamiers earlier this year, is working with Desai in visualising and producing both Avian Linen and Birdology. And Rajagopalan himself has an exclusive bird-themed collection for men coming up with Linen Trail! But you will have to wait till March 2017 to get your hands on it.